The shoulder press is a movement used by most strength, power, and fitness athletes to increase overhead strength, pressing abilities, and add significant size and strength to the shoulders (and upper chest, traps, and triceps). 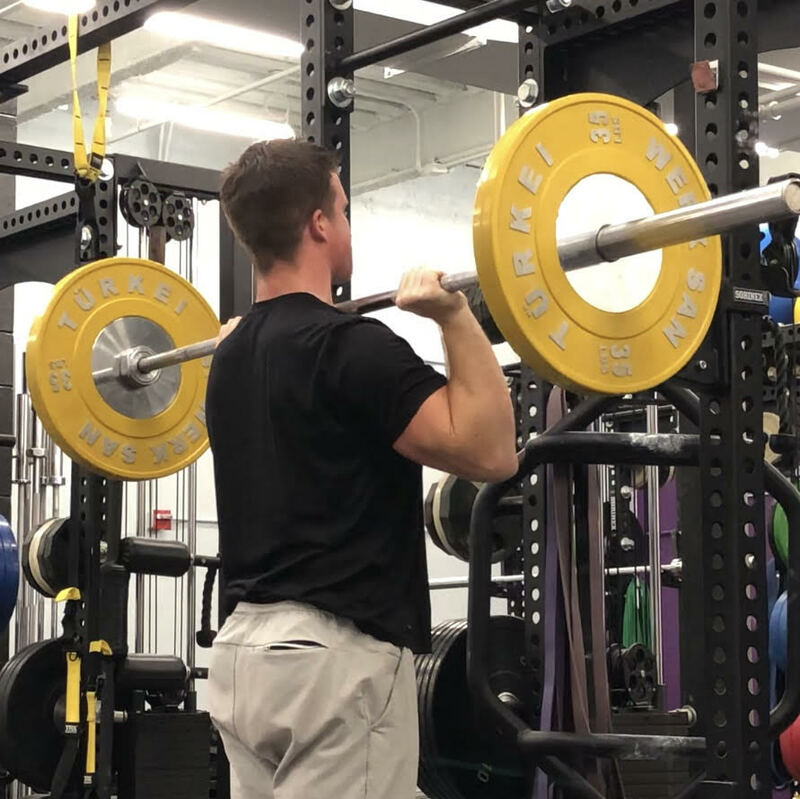 The shoulder press has a wide array of variations that can be programmed to fit the specific needs of an athlete and further increase strength, hypertrophy, and sports performance. Below, are ten (10) shoulder press variations that can be used (and should be) by strength, power, and fitness athletes looking to build serious upper body strength and muscle mass. The barbell military press is a standard strength and hypertrophy movement for the shoulders (and upper chest and triceps). This can be done seated or standing. The shoulder military press can also be referred to as the strict press, overhead press, or simply barbell shoulder press. This is done by a lifter having the barbell resting on the front rack (top of the front deltoids), and using only upper body muscles to move the load to the overhead position (knees and hips fully extended throughout movement, with minimal hip extension and/or lumbar extension). The Z Press is a seated shoulder press variation that is extremely challenging on the upper back, shoulder stabilizers, shoulders, and core. The lifter must develop a rigidity in the seated position (which is done so by sitting in an “L” formation on the floor) and remain in control of the torso (to resist lumbar extension, hip movement, etc). In doing so, you can truly isolate shoulder strength, core stability, and teach proper overhead lockout mechanics. The barbell push press is a strength and power movement used in most strength and power sports to build serious overhead strength, muscle mass, and yes, explosiveness. The push press allows a lifter to use the lower body (via knee and hip flexion, about 30-45 degrees, followed by extension). This shoulder press variation utilizes a lifter’s lower body strength and power to gain momentum to lift heavy loads and volumes overhead; which can be the necessary stimulus for bigger, stronger shoulders. The kettlebell overhead press is a unilateral overhead pressing variation that can be done with one or two kettlebells at a time. Like dumbbells, the kettlebell overhead press can address unilateral muscle imbalances and movement issues. Additionally, the kettlebells force a lifter to proper stabilize the shoulder blade and the shoulder capsule due to the disbalanced loading of the bell and handle, increasing a lifter’s overall need for stabilization and strength. This is a helpful exercise to teach and develop a lifter’s shoulder strength and stability, as well as reinforce proper overhead mechanics. The landmine shoulder press can be done either unilaterally or with various attachments to create shoulder strength and improve overall shoulder pressing health. Landmine training can help to (1) increase shoulder unit stabilization, (2) add a new stimulus the shoulder via adding different overhead pressing angles, and (3) can allow a lifter to properly learn how to press/rehab the pressing movement in times where standard pressing may cause discomfort. Note, that overhead pressing pain should be taken serious, in which a lifter should consult a health professional. Most of the above movements can be done with accommodating resistance (chains and bands). By using bands and chains, you can increase the force output needed throughout the entire range of motion, helping to develop greater rate of force development as the lifter become more mechanically advantaged without a lift. What this means for you is that the lifter can accelerate loads quicker, often increasing their abilities to break through sticking points. The dumbbell shoulder press, which can be done either seated or standing, is a pressing variation that can address unilateral strength imbalances. In addition, this can be used to help customize the angles of the press, widths, and add any rotational movements to better suit individual needs/wants based on shoulder health, alignment, etc. 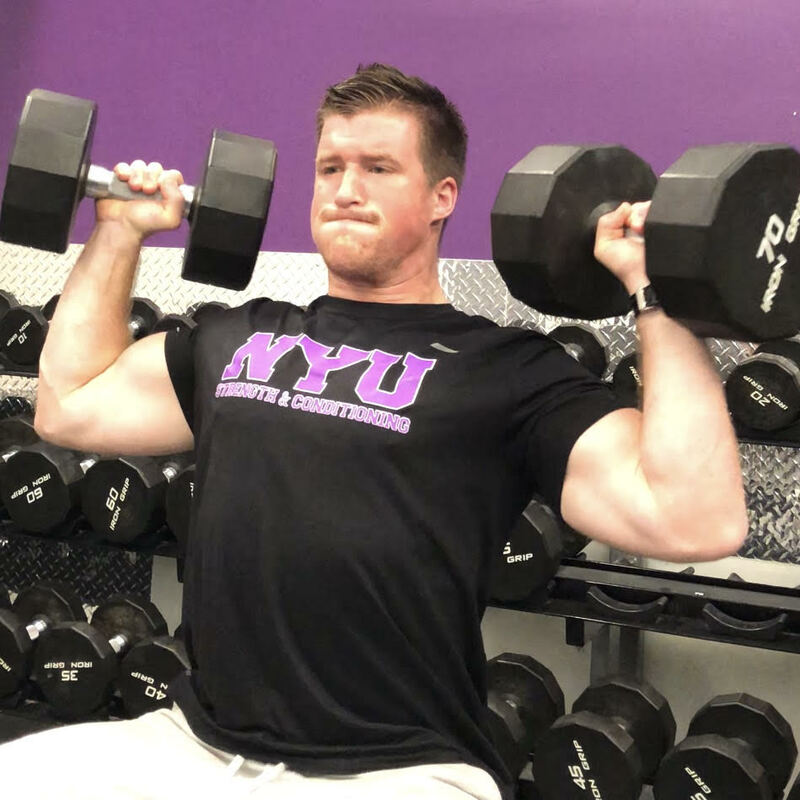 A good example of how dumbbells can be used is the Arnold press, done by adding a slight pronation and supination to the vertical pressing movement. This partial range of motion shoulder press can be helpful at addressing sticking points, strength plateaus, and/or training around or after an injury. By limiting the range of motion, you are able to isolate areas of weakness while also increasing the amount of tension placed upon the muscles (time under tension). For the shoulder press, stopping an inch or so off the upper chest/shoulders can help at times to maximize shoulder usage in the press. Deadstop training, which can be applied to most strength lifts, requires a lifter to perform a pause at the bottom of every shoulder press repetition, either when the barbell reaches the shoulders or at any point in the range of motion (such as pausing and stopping at chin height, as in the partial shoulder press above). In doing so, you force the lifter to build concentric strength, which is the weaker type of muscle contraction (by about 10%) for most muscle groups (as opposite to eccentric contractions). Tempo training is another variation that can be applied to most movements like the shoulder press. Tempo training can have a significant influence on muscle gain, strength development, and coordination. Tempo shoulder presses can be done with a barbell, dumbbell, or any other of the above movements. By performing slower, controlled repetitions with controlled eccentric and concentric muscle contraction, one can increase time under tension, improve muscle hypertrophy, and stimulate new pathways for strength development.